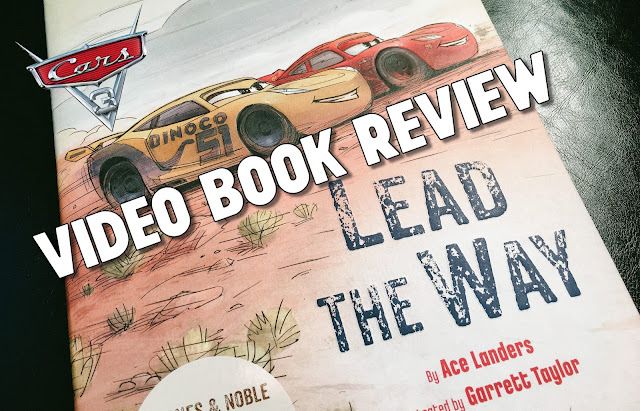 Lead The Way by Ace Landers (Writer) and Garrett Taylor (Illustrator & Pixarian) is the first Cars 3 book to hit shelves and it definitely gets your engine revving with excitement. The 32-page book (9.5" x 7.5") is packed with gorgeous illustrations and a sweet story which focuses on passing along lessons you've learned to help those around you. 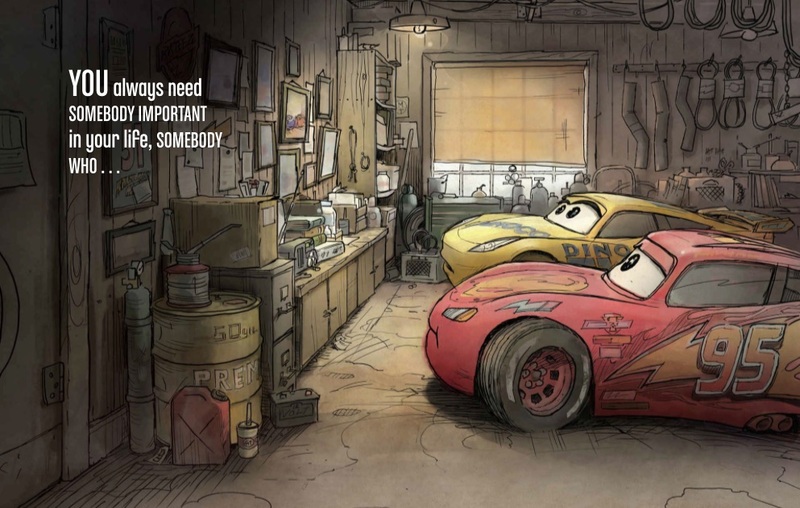 Many familiar friends make an appearance in the book like, Mater, Sally, Ramone, and Doc (to name a few), but centers around Lightning McQueen and Cruz Ramirez mostly. We were excited to also spot a few new faces as well — Smokey and Louise "Barnstormer" Nash (read more on the new characters here). If you're avoiding spoilers, you may want to avoid reading all the pages until after the film comes out, but it doesn't give away too much, really. Check out our video preview and review below — including a look at the Barnes & Noble exclusive edition which features a set of 4 "Inspiration Cards" (shown in the video). After you watch, be sure to subscribe to our YouTube channel for even more Cars 3 books, toys, and many more reviews all related to Pixar! Pick up your copy of Lead The Way on Amazon. The first Cars 3 book to hit shelves is a great story about sharing what you've learned partnered with wonderful illustrations by Garrett Taylor - watch our video preview & review.